08:30 Clean the panda's house/garden. 10:00 Put the fresh bamboo into the enclosures for the pandas' breakfast. 11:00 Watch the pandas' activity and help the scientists to collect their behavior data. 14:30 Feed the animals with bamboo bread, apples and carrots. Then free the pandas in the enclosure and watch their activity. This time you may help the veterinary to do the medicine care for the pandas. Full-day work with your teacher in the Panda Base. Return the working clothes and gloves. Enjoy dinner with your teacher and then get a volunteer certificate issued by China Panda Protection and Research Center. 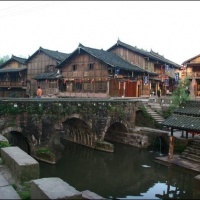 Drive back to Chengdu and visit the Jinli Old Street. Be escorted to the airport for the flight to your next destination. Back in Kuala Lumpur Thomas and I would like to thank you for organizing so well our trip which we enjoyed so much. We already have forwarded your contact address and website to friends who are interested in a similar trip to China. We also would like to mention that your guide Mike has done a great job, being very friendly and helpful, taking care of us always. Due to his professional skills and his kindness we really recommend him for your future guests. Our experience at Bifengxia with the Pandas was beyond words – fantastic, wonderful, exciting – we will never forget it! Thanks for another great trip. Alex and I really enjoyed Chengdu, andour guide did a great job getting us around to all the best stuff. 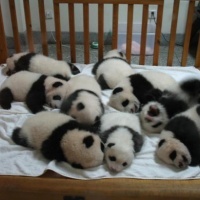 I am so in love with pandas now! My aunt and cousin are coming to China in the middle of September. Myaunt is really enjoying planning it all out, but she has so many questions, and it is hard to plan a trip to China from Wisconsin. Ithink your company plans fantastic trips, and we would benefit greatly to use your professional services. So far, my aunt has planned for she and my cousin to arrive in Beijingon September 19, stay three nights at Double Happiness Hotel, and explore the sites. Then Xi'an for maybe two nights. I think they would really love the rice terraces and bike riding in Yangshou --cooking class? She really wants to take an overnight train sometime in this deal, and they have to make it down to Guangzhou (to check out our city) and fly out of Hong Kong October 7 (?). Alex and I would like to join them in Beijing and Xi'an, and if I can get out of work, I'll be with them some more. The National Day holidays are around that time, so we will be free to travel with them then. See how complicated? If you are interested in putting together a trip for two to four Americans, I would like to introduce you to my aunt and cousin. Just let me know what you think, please. My apologies for not replying to your email sooner. I just wanted to say that we enjoyed our trip very much. Everyone had a wonderful time. 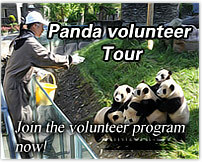 I am so glad that you recommended the volunteer experience at Bifengxia Panda Center. It was a once in a lifetime experience and worth the longer bus ride to reach it. Our guide Mary Cai was very good. She was a little nervous about a group our size, but I hope we were able to convey to her our appreciation for all that she did for us. She was very flexible and willing to adapt our itinerary when necessary. At her suggestion, we went to a Sichuan opera performance on Sunday night. We were really impressed with the performance and the professionalism of all the entertainers. One should not miss the famous face changing act. Truly amazing! We have done nothing but talk about this trip since we have returned to Guangzhou. 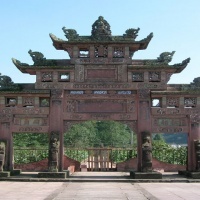 We continue to recommend your travel agency to all of our friends who are planning trips throughout China. I hope the Holtrops enjoyed their time in Guillin. I just returned to Guangzhou from the trip with Patty Hennessey and friends to Chengdu. I wanted to write to you and tell you how wonderful everything was on this trip. I also wanted to thank you for arranging such a great tour, and to tell you how great Mary was as a guide. The events were scheduled appropriately for the time we had, and we enjoyed it all very much. (The only complaint I have is that we could not take more time from work and Guangzhou to stay longer and see more -- 3 days is just not enough time when there is so much to see and do!) But we were able to see and do so many things in a short time, thanks to careful and thoughtful planning on your thought. I also want to mention that our guide was great! 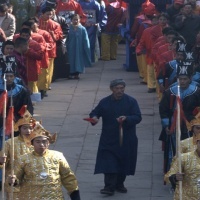 Mary is lovely, very enthusiastic, full of knowledge about the area and history, and was very patient and flexible with us when necessary -- like allowing us to add events like the Sichuan opera to our trip, at the last minute! She also answered many of our questions about language, culture and food, so it felt like we got so much from the trip, in addition to the events and sites. I felt very lucky that we had someone like her as a guide. Please let her know how much better the trip was because we had her with us! I know from my prior experience with your company in Guilin/Yangshuo/Longji Rice Terraces last autumn that your company is exceptional when it comes to providing customer service. This is another reason I was happy to join Patty on this tour, because I trust your company to do a great job. And you and Mary once again succeeded in pleasing all of us! Looking forward to the next trip! 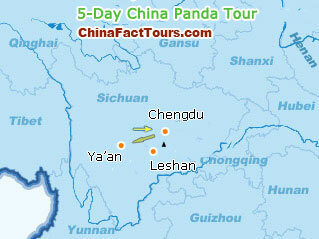 Hello, I am very interested with this tour since it's for my husband who loves pandas. I am looking to see what the price range is for the trip and make plans from there on. Since 2013 is too soon to travel for this, may take us til 2014 to do the tour. Please let me know righ away. I would love to see my husbands face when I tell him. He'll be so excited! Hello, could you please let me know the price? I'm a single female travellor so is it possible to share the room with other one person? hi, i m planning a trip by end of july. can you send me the cost and details of the tour. thanks. hi! can you send me the price and other details about this tour? which is the best season to do this? thanks! Hi Juwita Darmawi, one of our travel consultants had sent you an email, s/he can help you design a customized package tour according to your request. Thanks for the inquiry. Hi, My boyfriend and I are interested in volunteering at the panda base for 2 days. Any info would be appreciated.